Next year in France, Ensemble Opalescences will premiere a new adaptation of Orpheus, the popular opera by Gluck, with Codina’s wire meshes playing a leading role. This new, more intimate version has a reduced cast of performers: a string quartet, a vocal quartet and soloists, in addition to which the riposte of a flute and a violin represent the characters of Eurydice and Orpheus. 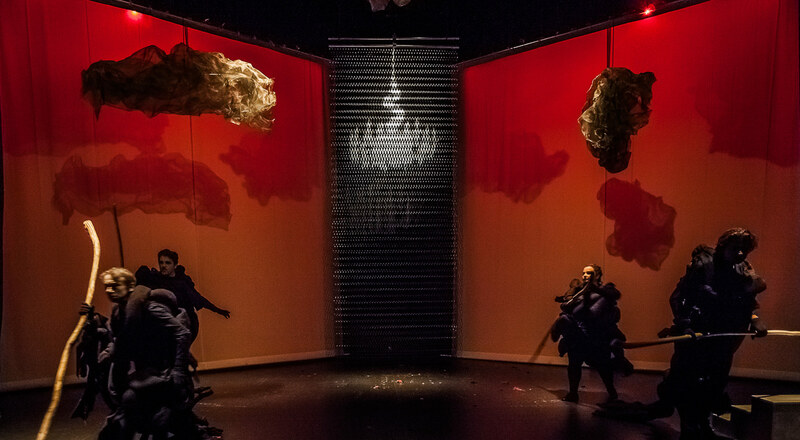 This is a production in which the stage set, theatre, dance and music all intertwine in an intense and emotional narrative to honour Gluck’s work and aesthetic. To create this intimate and evocative atmosphere, the architect Geoffrey Desplaces has designed a unique set made with wire mesh. Desplaces has entrusted Codina’s representative in France, Maille Metal Design, with the design of a wire mesh structure as the fixed base for a restrained yet powerful stage set for this new adaptation. The rustproof mesh creates a filter that simultaneously reveals and conceals, and also reflects any light shining onto it to create different ambiences. In this version of Orpheus by Ensemble Opalescences, the mesh takes on a life of its own: it will become a static carpet, a mountain, a troubling landscape, a heavy sky and a wall that separates two worlds. The mesh allows for bodies, movements and lighting to be magnified and will assist in creating a mystical tension for the show during which, suddenly, the weight and frigidity of a hard, cold material suddenly gives way to sensuality and the heat of the body and soul. Photos: Ensemble Opalescences / Geoffrey Desplaces Architecte / Jullette Valtiendas photographe.